An electric toothbrush for babies ages 0-5. 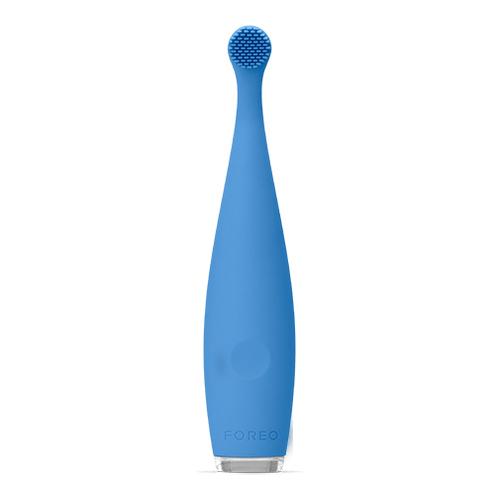 The ISSA mikro is the only baby electric toothbrush to combine silicone bristles with gentle sonic pulsations, making it a safe, effective and fun way to teach your children to brush their teeth. 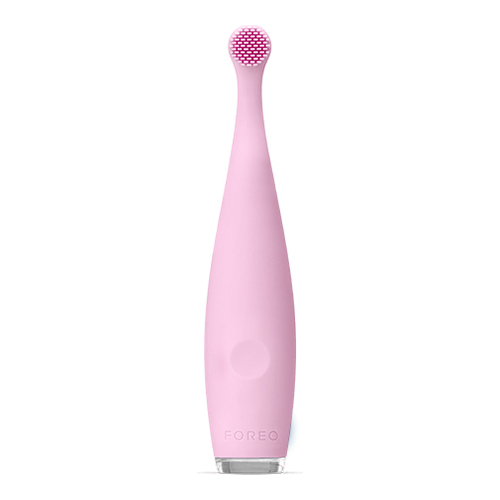 The ISSA mikro electric toothbrush for babies gently channels Sonic Pulse Technology through its soft silicone bristles in two selectable modes. Brush Mode effectively cleans teeth in a completely nonabrasive way, and Massage Mode delivers a soothing gum massage , all while encouraging your children to form healthy oral-care habits. Even before any teeth appear, using ISSA mikro will reduce bacteria in the mouth by clearing away food fragments and residue while soothing your baby's teething pain. ISSA mikro provides precise cleaning of baby teeth by covering each tooth separately from all angles, while gently massaging sensitive gums to soothe irritation. Toddlers love to do what their parents do, so try brushing together. To add more fun, try using matching ISSA electric toothbrushes! Take turns brushing each other’s teeth! Let your children brush yours then you can brush theirs. Use ISSA mikro exclusively for brushing and gum massage, not as a chewing toy. 1. Apply - Use toothpaste or soothing gel and turn the ISSA mikro on. Select either the Massage Mode or Brush Mode depending on your child’s needs. 2. Brush - Brush your child’s teeth in the same way as you would with a manual toothbrush for 2 minutes, using circular movements. 3. Rinse - Rinse their mouth and the ISSA mikro with water.